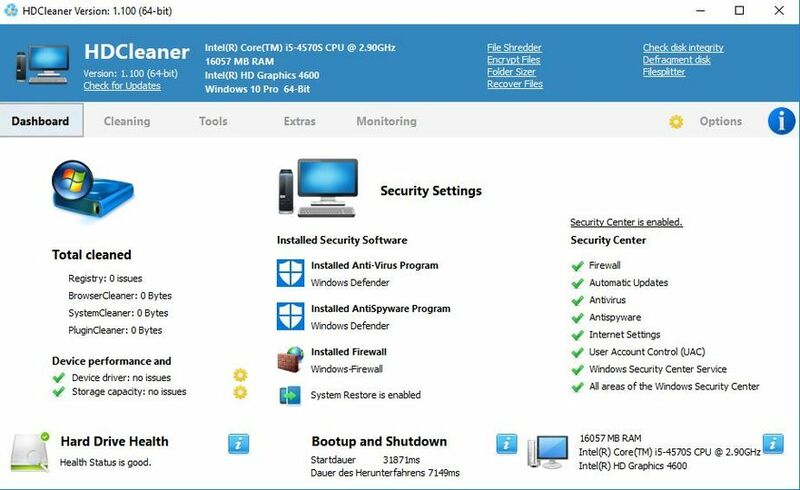 Your computer is like any of your devices and equipment, it needs tender, loving care and maintenance.HDCleaner is the app to do it for you. HDCleaner is a complete cleaner, which will eliminate all those annoying files that are not used but that remain in your computer. This app offers a comprehensive toolkit that you can use to clean your hard disk, encrypt data, remove traces of use, defrag, backup the registry and more. Over more than 700 plugins are supported and cleaned, deleting its internet traces. 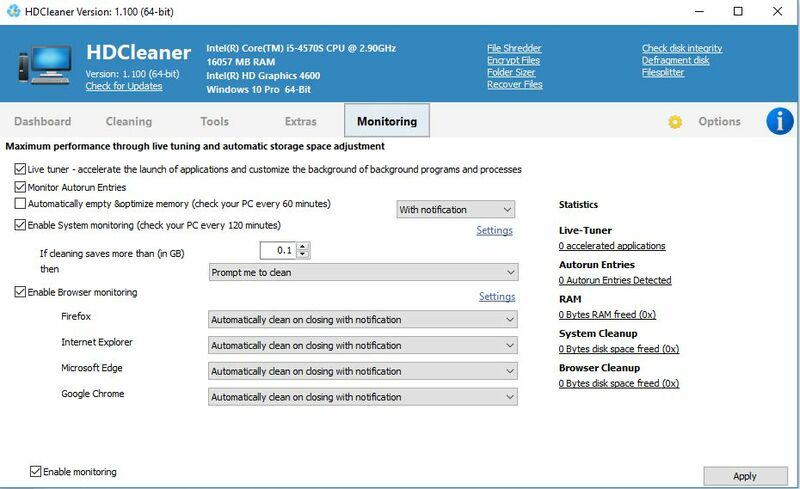 All things considered, HDCleaner is a reliable application that can help you optimize your system and perform various other tasks such as shredding files, fixing broken shortcuts, defragmenting disks or view information regarding folder sizes.